Located in the holy city of Kurukshetra, land of the historical battle of Mahabharata and the great message of Bhagwad Gita, its campus is situated on the western bank of Brahma Sarovar (the holy tank) and extends over an area of over 400 acres of land against an idyll background of rural charm and is situated at a distance of about 4 km. from Kurukshetra Railway Station and about 8 km. from Pipli, a well known road junction on National Highway No.1 (Sher Shah Suri Marg). With vast open spaces around and with its modern buildings/hostels, the campus is particularly a healthy place, conducive to quiet and concentrated academic work. The site near the sacred tank of Kurukshetra (the Brahma Sarovar) was chosen by the sponsors of the University for its historical and spiritual significance. Starting with only the Department of Sanskrit, it has grown into a multi-faculty University as one of the premier centres for advanced study and research in the region. Adjacent to Kurukshetra university campus is National Institute of Technology, Kurukshetra campus formerly known as Regional Engineering College, Kurukshetra. * Sciences Dr. Vinti Dawar. 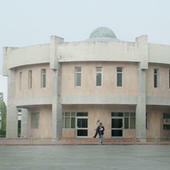 Kurukshetra University, Kurukshetra has 402 affiliated Colleges. Click here to explore them. 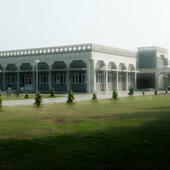 Kurukshetra University, Kurukshetra has 44 Departments listed that offer various academic courses. 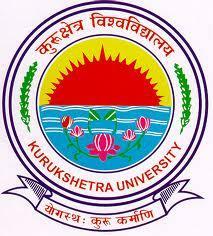 Are you Interested in studying at Kurukshetra University, Kurukshetra? This page was last modified on 10 March 2016 at 13:03.